1.They tell instead of sell — women focus on their job functions or responsibilities, they really need to focus on their accomplishments instead. 2.Women need to be liked — women have a need to be “liked” that men just don’t have. They need to place this need to be liked on the back burner. It’s not always about playing nice. 3.They talk about their personal lives too much — don’t talk about personal things in a job interview. Don’t mention that you just went on a maternity leave or your son’s middle name. 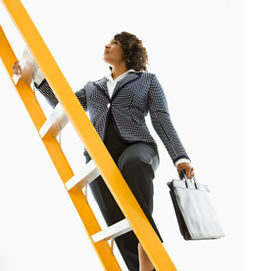 4.Women do not negotiate for a better salary — women tend not to negotiate for better salaries. One estimate says that by failing to negotiate for a better starting salary, a woman may sacrifice over half a million dollars over the course of her career. 5.They are too chatty — keep the chit chat to a minimum. Be sure to keep the conversation focused on the job interview and work experience. 6.Women sabotage themselves with honesty — women tend to be too honest, and they sabotage themselves in interviews saying things like… “to be honest I haven’t done that.” Focus on accomplishments. 7.They may dress inappropriately for the interview — not sure what to wear? Then ask your mother. Clothes can cost you a job, so be sure to be professional and polished. 8.Women sit by the phone waiting for a call — be proactive and make that call to find out about a position. It’s the professional version of waiting for the guy to call and ask you out. 9.They don’t have a clear idea of what it is that they want to do — do not fall back on the classic line ” I want to work with people.” Say instead that you want to utilize your interpersonal skills managing and mentoring your employees. 10.Women don’t ask for help with their job search — yes, networking can be intimidating or scary for a lot of women but you need to utilize your network.